Dead wood left lying around. 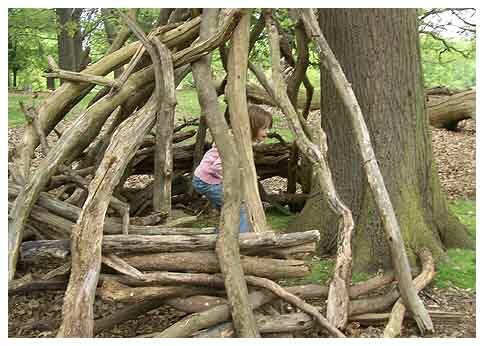 Perfect for building dens. "Creating good play places is as much about land management and maintenance practice as it is about capital expenditure. A point that might usefully borne in mind when formulating Big Lottery play fund bids."